MISS READ brings together for the fifth time the most important protagonists of art book publishing. In addition to some 100 international exhibitors, a series of talks, panel discussions, and presentations will explore the cutting edge of art publishing today. Books being a great medium to embody and disseminate ideas, artists use the book form to elaborate visual stories, generate archives, depict collections, present research results, or even practice book piracy. When artists, authors, and designers collaborate on production, the complex books that often result enable fresh perspectives. At best, an “artist’s book” is an artwork in its own right. 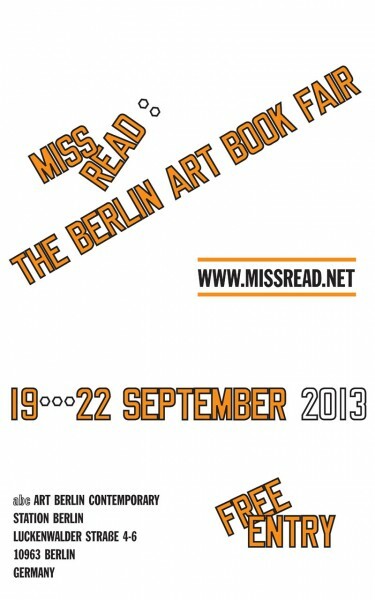 For more information on 'Miss Read' see the Miss Read website.